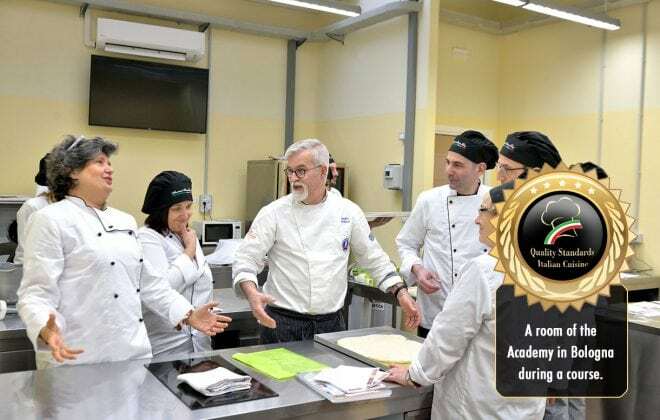 The cooking school in Bologna is located in the center, just 5 minutes from the rail station. 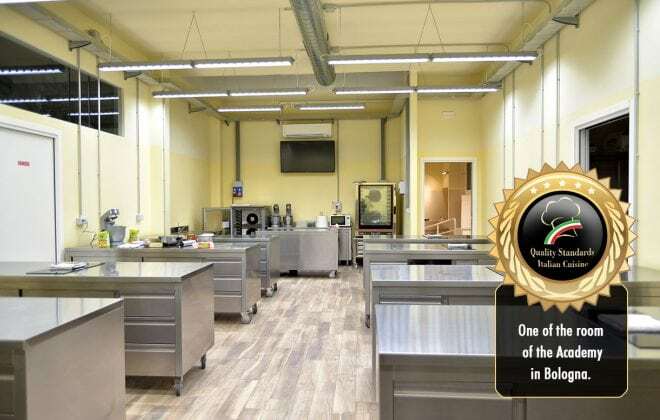 It has an area of 350 square meters entirely dedicated to the teaching of Italian cuisine. 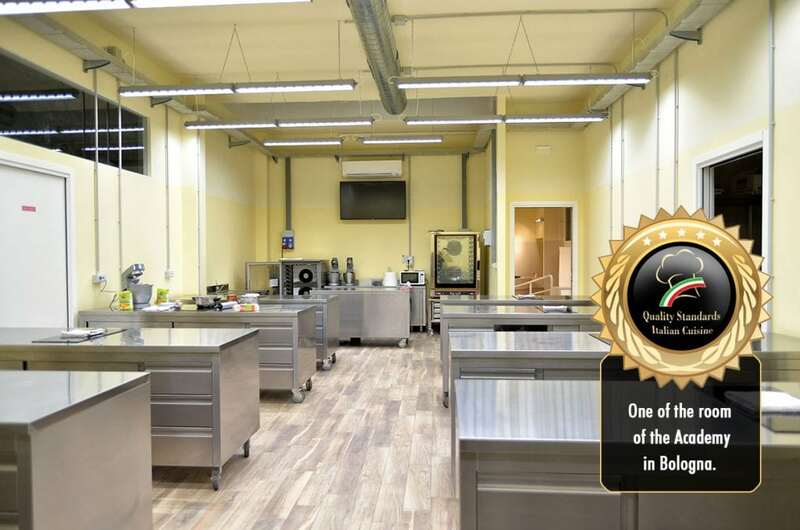 In addition to the common areas, the washing and pantry area, the cooking school has two perfectly equipped laboratories to accommodate 20 students at a time. Cooking workshops are equipped with a multimedia system to speed up student learning. The area surrounding the school is fool of actractions, just inside history and amenities of this magic city. The school offers regular courses for italian students and the masters for foreign students. «Every student must be able to achieve a real new skill. To do this it can not simply learn a recipe, but also understand the dynamics and the bases that compose it. Studying cuisine in Bologna, a multi-sensory experience in Food, History and Art. The advantages of studying in a cooking school in Bologna. 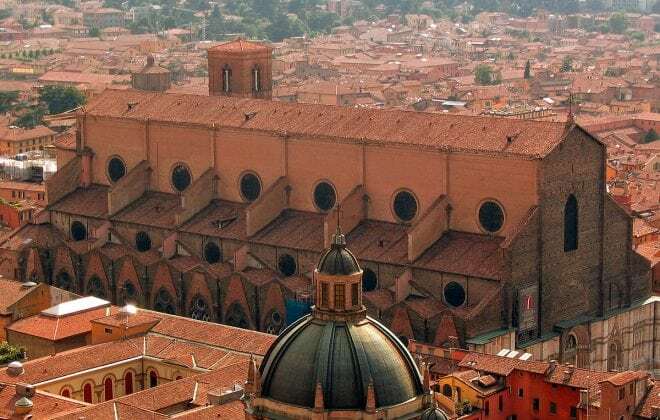 Your school is in the center of Bologna, one of the italian food capital, full of artistic and culinary wonders. We can try to propose an itinerary in the city of the arcades, through its millennial churches, through its gardens, the trattorias set in the Renaissance palaces. 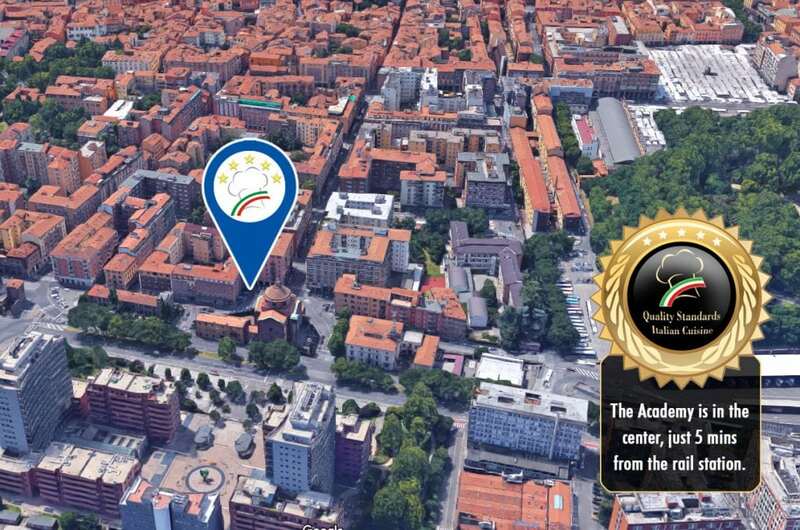 All places are near your cooking school in Bologna. Bologna, one of the most scenographic cities in the world. Thanks to its peculiarities and its rich history is a very popular place with lots of beauties to discover. The presence of the University helps to make it a cosmopolitan city, its towers are famous all over the world, and its history is so rich that important corners, medieval remains and enchanting landscapes are hidden behind every corner. 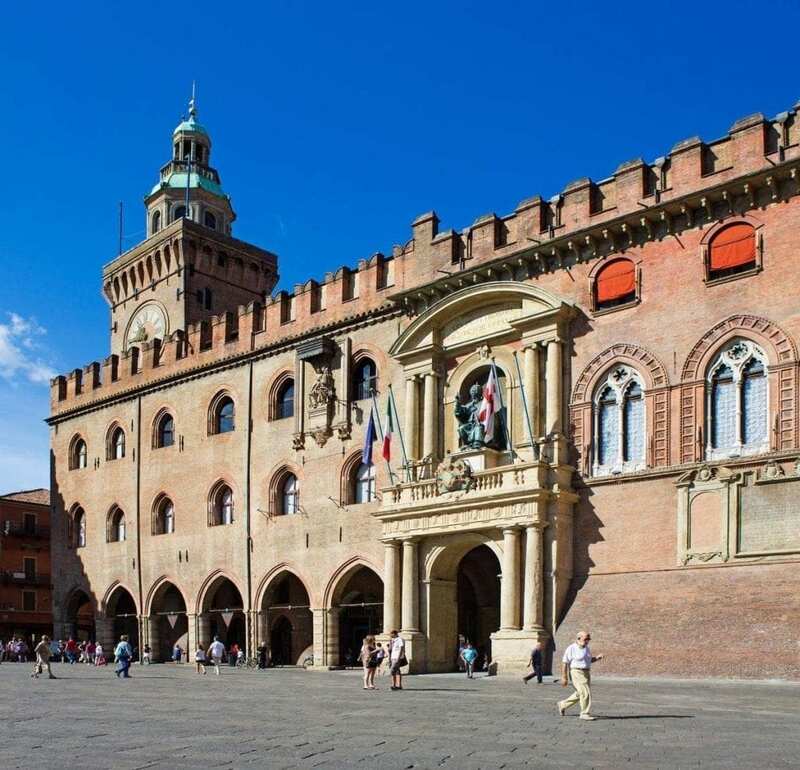 Bologna is an unmissable destination for tourists who are looking for art, culture, excellent gastronomy and escape from their trip to Italy. The city is also known for its nicknames: the learned, the red, the turrita and the fat. 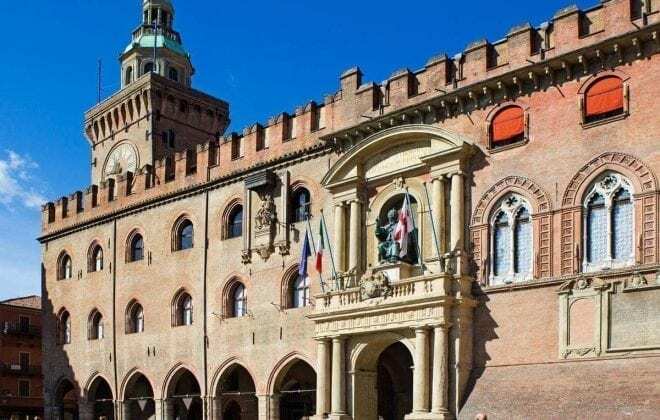 Bologna "the learned", so it is defined the capital of Emilia Romagna, thanks to the presence of one of the oldest Italian universities, founded in 1088, still today frequented by local students and university students from abroad. An ideal place to create a Cooking School in Italy. The town of Bologna preserves traces of the past, in a marriage between ancient and modern, which strikes at a glance the tourist: you can walk in Piazza Maggiore and admire in the same instant the oldest buildings of the city, but at the at the same time perceive the cultural ferment that animate an open and tolerant city, ready to welcome ever new artistic and cultural ideas. This place is very near to you Cokking School in Bologna. 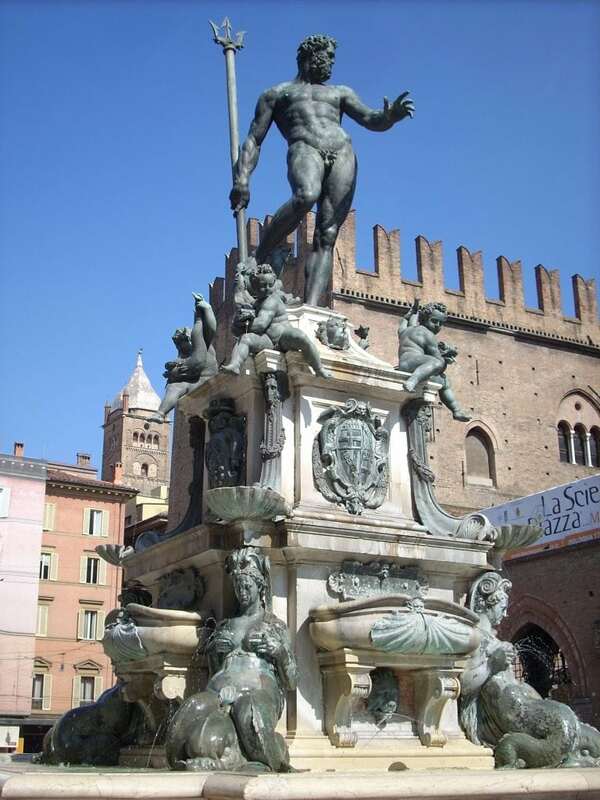 The history of Bologna begins in 600 a. C., when it was the capital of the Etruscan Empire, then its territory has seen the passage of Gauls and Romans, up to the Byzantines and the Normans. 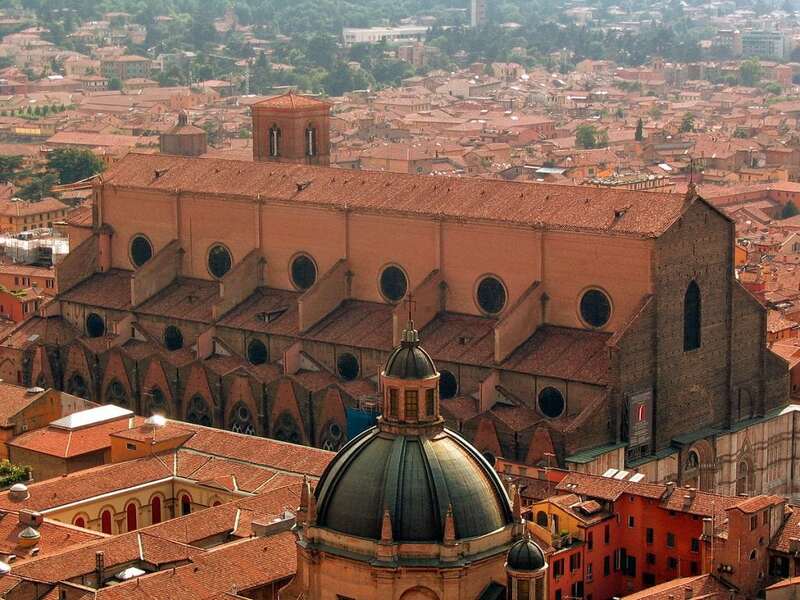 Only by this is it easy to perceive the mixture of styles and cultures that are felt in Bologna. Art and Culture near your Cooking School in Bologna. His university had excellent students: Dante, Boccaccio, Petrarca, Thomas Becket, Erasmus of Rotterdam and Copernicus. In the Middle Ages, like most Italian villages, the Emilian city closed in its walls, but no country reached the Bolognese record, more than 180 watchtowers were built. 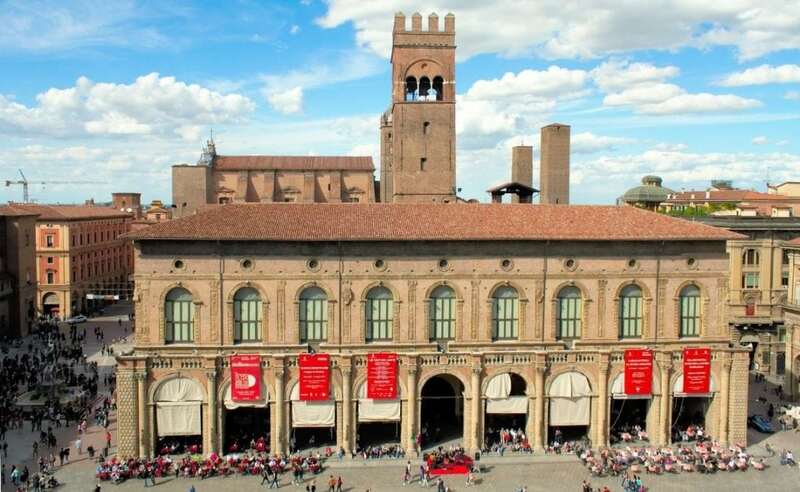 After various vicissitudes and destructions due to the Wars that struck the city, today Bologna, mindful of its past, is a very important university center and a city full of cultural ferment. 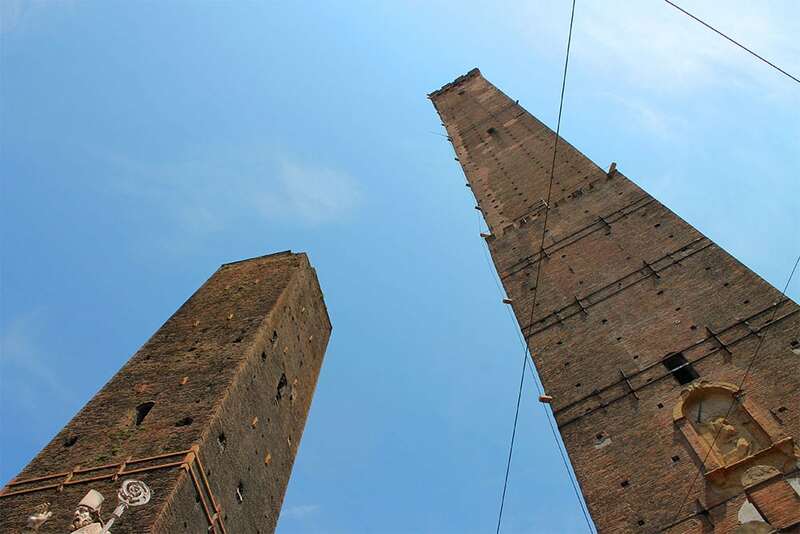 The towers are the symbol of the city of Bologna, and a visitor around the city can not miss the two most famous towers, that of the Asinellis and that of the Garisenda. The most famous is the first that was built between 1109 and 1119 by the family that, in addition to receiving social prestige, used it for military purposes of defense and sighting. To date, its 498 steps are climbed by tourists to enjoy a panoramic view of the city from a height that is close to 100 meters from the ground. Moreover, during the sunny days, the view can reach the Romagna sea and the Veneto Prealps. In addition to the Towers, another distinctive feature of Bologna are its arcades. It is impossible to think of the city without associating it with this aspect of its urban conformation. For 40 kilometers the city is crossed by porticos, from the elegant ones of the Church of the Servants to those painted in Piazza Malpinghi. These are covered paths that allow the traveler to reach every point of the city. The origins of the arcades date back to the late Middle Ages when, in a period of rapid expansion, hence the need to make the most of outdoor spaces. The only wooden porch that still survives is that of Casa Isolani in Strada Maggiore. History and Arts near your Cooking School. Bologna is a sort of open-air museum, wherever you breathe art and history. All this is very near to our Cooking School in Bologna, just in the center of the city. The styles that are found in the city range from the Gothic, to the Baroque, to the Romanesque, up to the Renaissance. The city is visited in a few days, even if the things to see are endless, just a bit of organization. 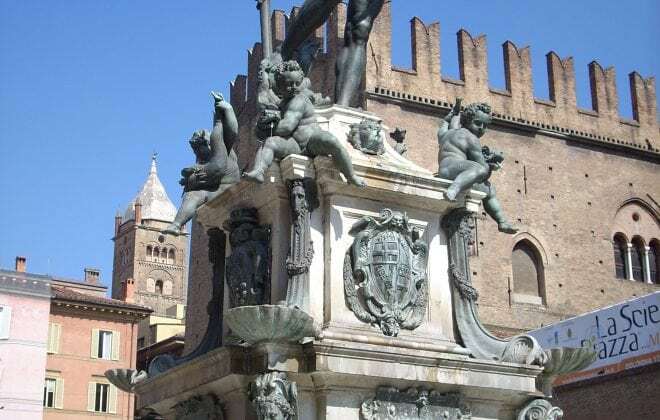 The tour of the Emilian city can start from Piazza Maggiore, which is the center of Bolognese life, at the center of which is the famous Fontana del Nettuno. The Piazza is surrounded by the history of the city. From the Palazzo Comunale to the Palazzo dei Bianchi, to the Palazzo del Podestà. 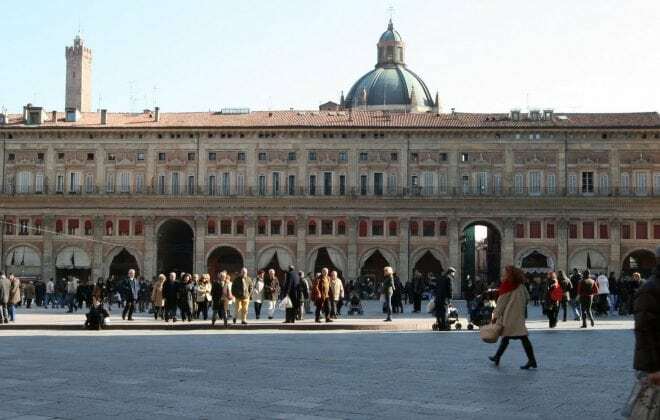 The south side of Piazza Maggiore is occupied by the majestic façade of the Basilica of San Petronio, the fifth largest church in the world and the last great Gothic work in Italy. Its late-Gothic naves house the works of Parmigianino and Masaccio and its walls have seen religious ceremonies alternating with civil ceremonies. The interior of the basilica is extremely bright and spacious, dominated by the pink tones of its brick pillars. A belief very popular among the students on Piazza Maggiore wants the Piazza to bring a little bad luck, in fact it is thought that going through the center is bad, and then you always have to coast, otherwise there is the risk of saying goodbye to the long-hoped degree . Another important church is the Basilica of Santo Stefano, which belongs to the complex of the seven medieval churches. The square of Santo Stefano houses: the Church of the Crucifix, the Basilica of the Sepulcher, the Church of San Vitale and Sant'Agricola, the Cortile di Pilato, the Church of the Martyrium, the Medieval Cloister and the Santo Stefano Museum. Today the churches have been reduced to four for renovations. Also worthy of mention is the Church of Santa Maria della Vita, which is the church of the first hospital in Bologna and where the harrowing terracotta group of the "Lamentation over the Dead Christ" is kept. Besides Bologna in the open air, there is also a hidden Bologna, underground, the ancient canals that plowed the city, have been restored and today are visited by thousands of tourists. 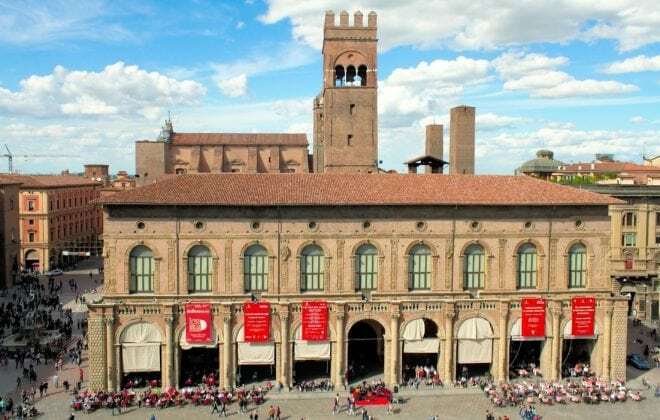 Returning to the light of the sun, not to be missed, then, is the National Art Gallery, which preserves works ranging from 200 to 700, where there are artists such as Raphael, Carracci, Reni and many other artists related to Bologna. During your trip to Bologna, there will certainly be time to refresh yourself with the goodness of Bolognese cuisine. In the city, just a stone's throw from your cooking school in Bologna, there are many taverns and inns with a great gastronomic tradition, in every street and in every alley you can rediscover the flavors of tradition and smell aromas that are hard to forget. 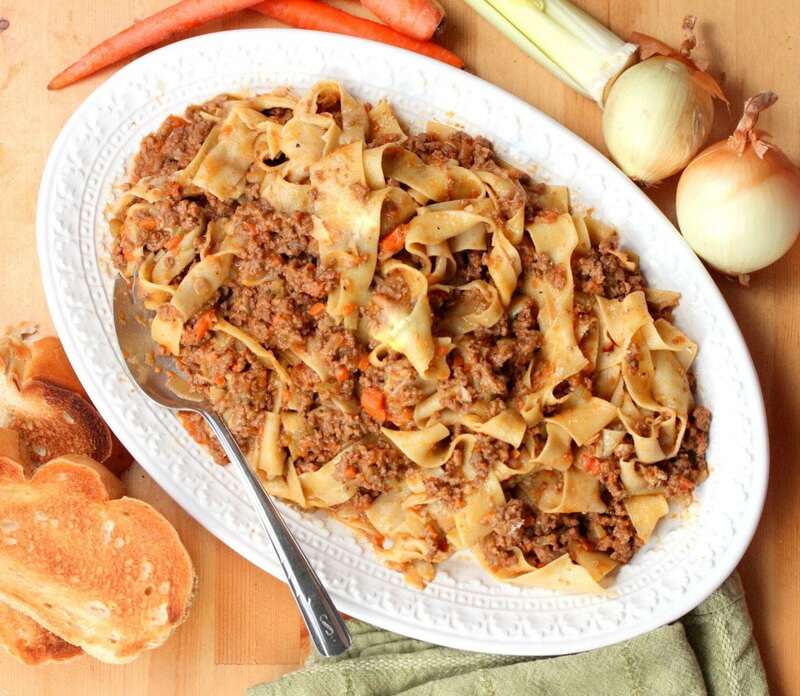 Ragout, Lasagna, tortellini, tagliatelle, crescentine, tigelle and mortadella are just some of the typical products. From the point of view of confectionery, however, the most famous dish is the Certosino, a typical Christmas dessert prepared with honey, candied fruit, pine nuts, almonds, butter, grapes, cinnamon and dark chocolate. All these specialties can be tasted in the many taverns and taverns, just some minutes from your cooking school in Bologna, many of which are family-run and where you can dive into the true flavors of the Emilia tradition, also tasting the specialties and DOC wines of the hills of Bologna, such as Pignoletto, Barbera and Cabernet Sauvignon. Among the most rustic taverns is that Dei Butteri, where you eat anything with your hands; or the two historical trattorias the Osteria De 'Poeti and the trattoria Boni, symbol of Bolognese cuisine. A good relationship between price and quality can be found at the Antica Osteria Romagnola, Ristorante Teresina, Ristorante Biagi or Osteria dell'Orsa.